Establishing measurable and attainable goals is crucial for every marketing and business effort. If you can’t tell your boss what success looks like in 12 to 24 months, it’s going to be difficult to justify starting a content initiative. The anticipated goals should paint a picture that validates the cost of content marketing. Focusing on data-driven impacts of content theoretically allows you to reverse engineer break-even points, anticipated ROI, and timetables for success. Some key metrics to track if you’re taking a quantitative approach to measuring content marketing ROI include website traffic, unique visitors, subscribers, Call-to-action clicks and CTR, time on site, cost per lead, CPA. Metrics like traffic, shares, and time on site can reveal how well your content is resonating with your target audience. You can use this information to set a baseline and then set increase goals to ensure you’re always improving. Comparing these metrics can also show you which specific articles, headlines, and topics are driving the most results. Consistently analyzing and using this information can help with your content marketing strategy and make data-driven decisions about future topics. And don’t forget that content marketing is a long-term initiative, and you should consider this when measuring its impact. The results likely won’t blow you away in the first three to six months. In fact, many companies halt successful content programs because they tie results too closely to metrics and fail to consider the big picture. Most digital marketing strategies need to generate enough to cover the money going out, plus the costs of delivering your products or services. If the money doesn’t match up with your content marketing efforts, you may think the initiative isn’t a good fit. The problem with applying this mentality is that content provides value to your organization beyond generating leads and sales. In fact, leads generated through content are just one part of a bigger picture of success. For example, it can help with building trust. By publishing high-quality content that communicates your company’s expertise and truly helps readers, you can break down barriers and build lasting trust with your audience. Nowadays, 74 percent of B2B buyers do more than half their research online before they ever approach a vendor for a conversation. So, it’s crucial to have high-value content that helps you show up in search results and guides your audience through their buying journey. Content can also improve investor relations, serve as marketing ammo for other campaigns, keep your brand top of mind with your audience, and fuel your talent recruitment and training efforts. But, measuring the results of your content efforts isn’t an exact science, and there are many moving parts in building trust, strengthening relationships, and creating opportunities. Content marketing is a complex and increasingly influential marketing and branding tactic. But many leaders and marketers still struggle to identify the impact of their content marketing program when looking through the narrow scope of either qualitative or quantitative metrics. 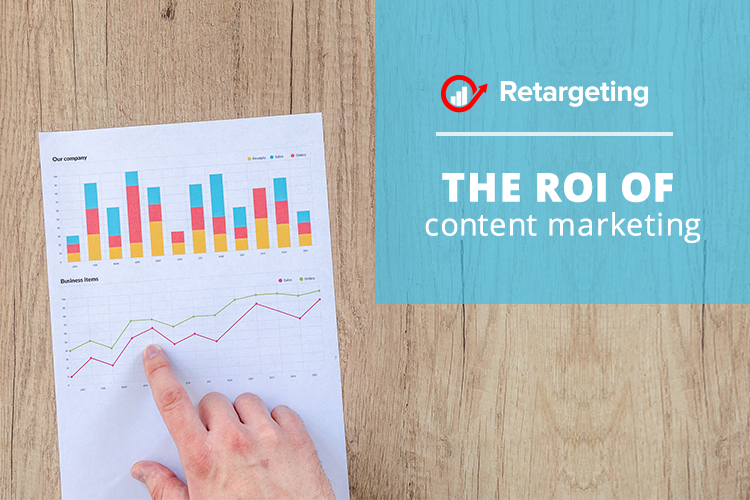 To fully assess content marketing’s ROI for your organization, you need to evaluate key metrics while keeping its qualitative influences in mind. And with a clear and detailed picture of your content’s reach, you’ll be able to fine-tune your initiative and unlock its full value.